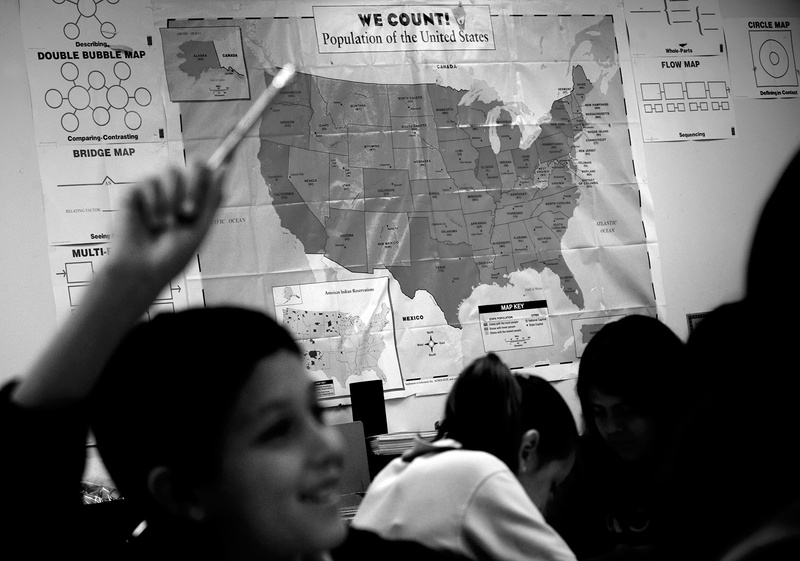 Brandon Thibodeaux -- (Irving, TX - 02.03.2009) -- Hispanic students at Gilbert F M Elementary School, in Irving, TX, participate in their fifth grade math class on Tuesday, January 03, 2009. Gilbert Elementary falls just above the Irving School District's 2008 average for Hispanic enrollment, with 83.8 percent of it's 770 children being Hispanic. In the fall of 2008, 70 percent of the students who enrolled in kindergarten through fifth grade in Irving's schools were Hispanic, and 56 percent of the students in those grades were classified as English language learners.